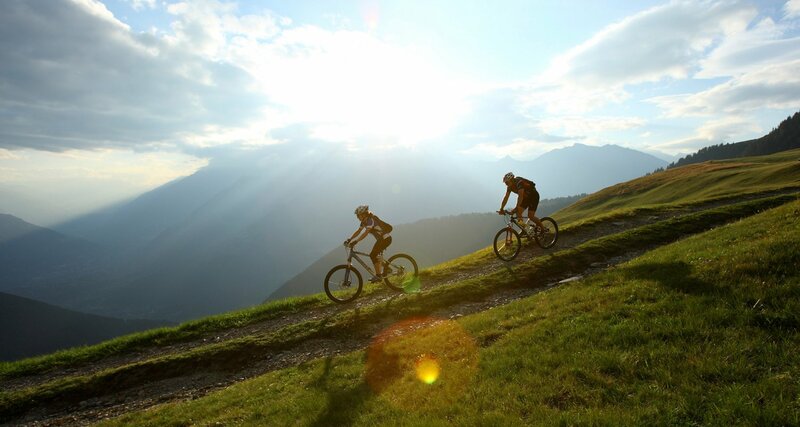 Vöran in the countryside of Meran is not only known for its endless hiking opportunities, but also for its multi-faceted cycling routes. 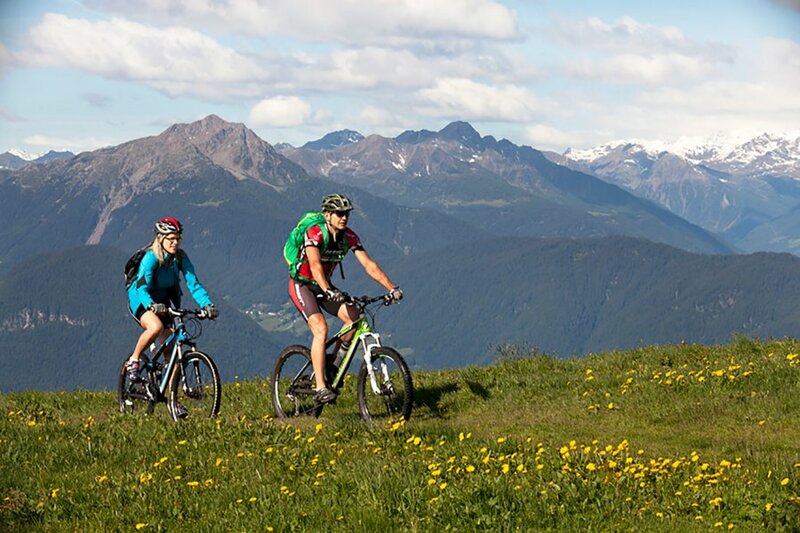 Pleasure cyclists as well as passionate mountain biker will get their money worth here. Endless meadows and forests. Narrow valleys and traditional villages. High mountain peaks and picturesque mountain landscapes. Bike freaks will be spoilt for choice here! 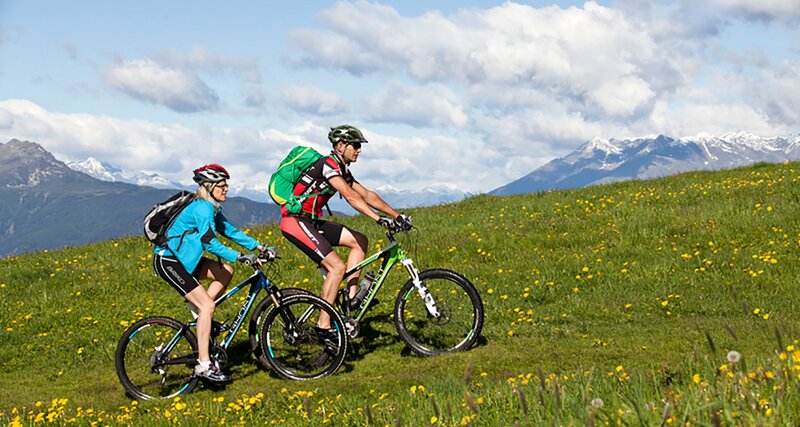 Due to the mild climate the bike season runs almost all year long, from mid-February by the end of November. 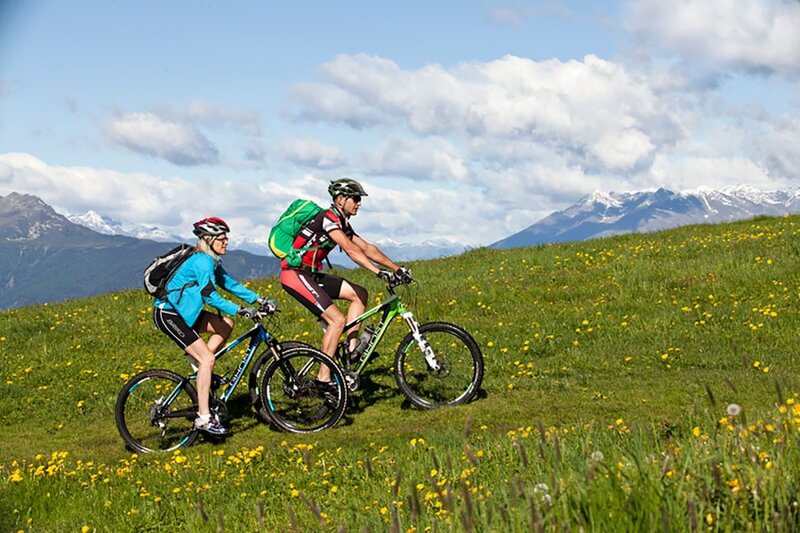 During a leisurely tour into the Etschtal valley or the Vinschgau Valley. During a demanding tour to the Vöraner Alm Alpine pasture. We will gladly provide you our favourite tours in the surroundings! 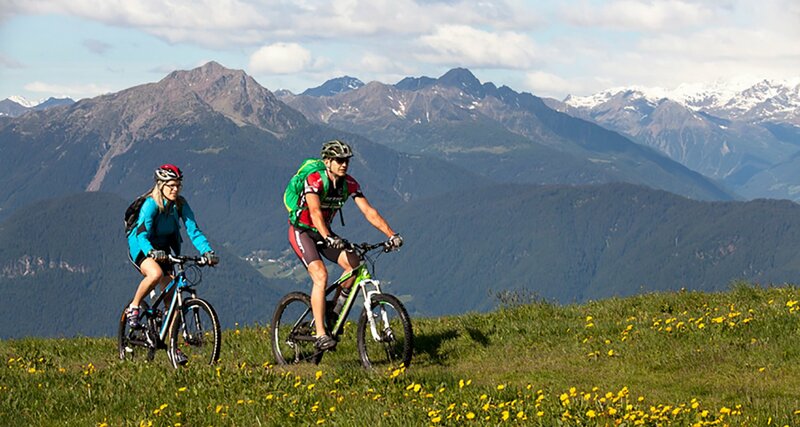 As an additional service, we offer you free mountain bikes. Off we go! 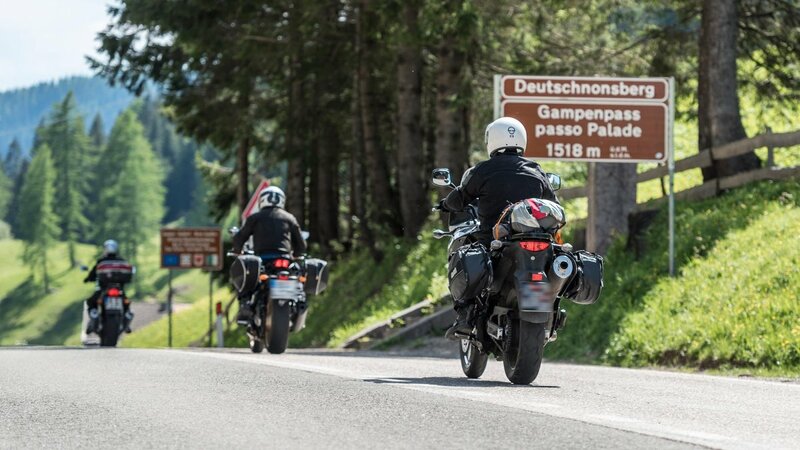 From the hotel take the national road in the direction of Hafling to the junction “Gasthof Alpenrose”. Leave the road and turn right uphill via a tarred access road to the “Weber”, where you can make a side trip (approx. 30 min) at the famous Knottnkino without a bike. Then continue along a dirt road no. 11 to Weiher Bruggen and Leadner Alm. Then again downhill along path no. 16 to the Gasthof Grüner Baum and back to the hotel along the national road. Vöraner Alm are ideal for a break. From the hotel on the national road 1km in the direction of Mölten. Then turn left along path no. 16 to the Alpine hut Leadner Alm and continue climbing along a forest path to the Alpine hut Vöraner Alm. Continue to the junction “Steinerne Mandln”. Over a not always easy ascent to the Steinernen Mandln, the best known viewpoint in our area. Then over alpine meadows and steep climbs down to the Möltner Kaser. Wonderful place to stop. From there along a beautiful forest path to the junction E5 and then initially via alpine meadows and then again along a good path down to the Kircheben car park. From there continue to the main road and then turn right via Aschl back to the hotel. Via the national road to Aschl and on to Mölten. Keep left and branch off to Flaas. Climbing steeply up to the parking lot Schermoos. Right over the E5 through larch meadows over the Salten to the Tschaufenhaus junction. Over alpine meadows and paths to the refuge Tschaufenhaus. A nice place to stop. Then down the small road to the Verschneid fraction. From there turn right along the main road back to Mölten and on to Schlaneid. Turn left along a forest path to Bacherhof and again along a small paved road up to Vöran and on to Hotel Oberwirt. Round trip with gorgeous panoramic view. From the parking place above the guesthouse Gruener Baum (1317 m) you take the forest trail No. 16 to Leadner Alp, from here cycle along the left side until you reach Voeraner Alp (1317 m). The way back leads to Wurzer Alp (1707 m) and continues on forest path No. 2 , then branches off in the direction of the Brunner guesthouse, and finally back on trail Nr. 16 to the starting point in Voeran. Time: 3 h 50 min. Time: 6 h 26 min. Time: 6 h 24 min. 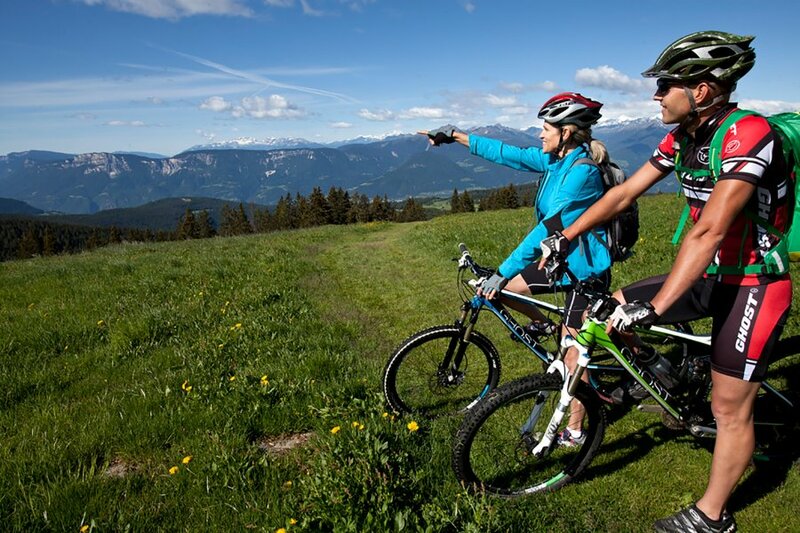 With the topic of “holiday on two wheels” many associate a cycling holiday. But in our Hotel Oberwirt this also means a motorcycling holiday. 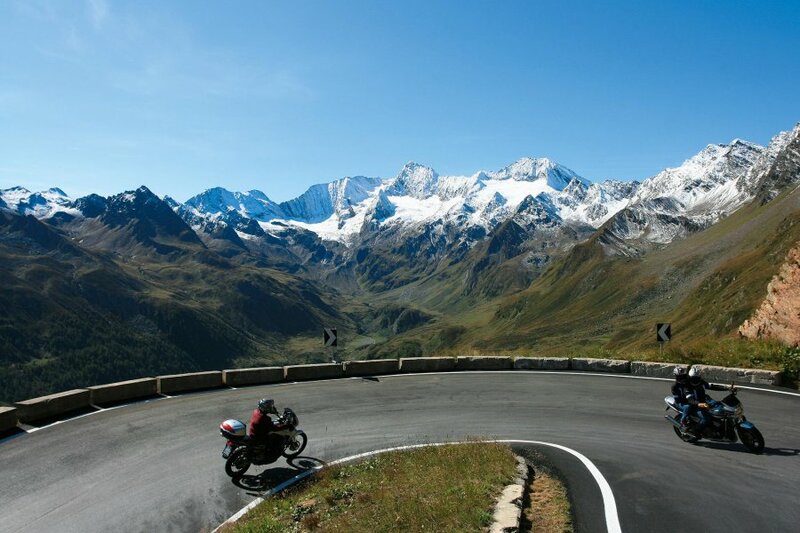 Discover our racy bends and unique pass roads!